It’s March and you know what that means. 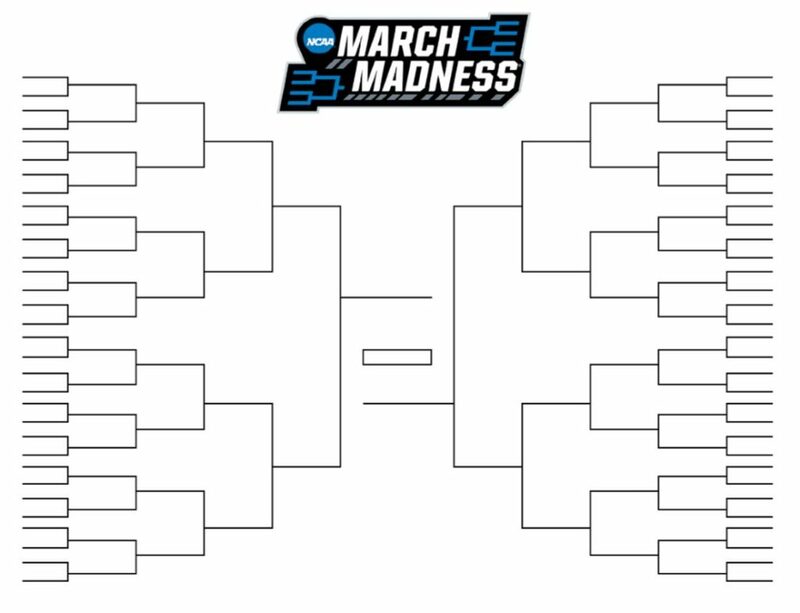 That’s right, college basketball fanatic, we’re less than a couple weeks before Selection Sunday that mean’s it’s the best time to print out your NCAA Tournament bracket for the 2019 edition of the NCAA Men’s March Madness Basketball tournament. Interbasket has been providing NCAA brackets for several years and for 2019, we’ve given you another personalized bracket for this year’s edition of the most popular basketball tournament on the planet. The 2019 tournament promises to be one of the more exciting ones in recent history as though Gonzaga, Duke and Tennessee have dominated the headlines, there’s not one concensus college team in the United States that every hoops head can agree on. It makes everyone wonder if one of the “Blue Bloods” college programs like Duke will put it together (and get Zion Williamson back) to make a deep run in the tourney, or will we see one of the surprise teams like the Tennessee Volunteers make it to the Championship Game? Another question is whether we’ll see another #16 seed upset a #1 seed as we did in 2018? There’s no telling (but most-likely not). 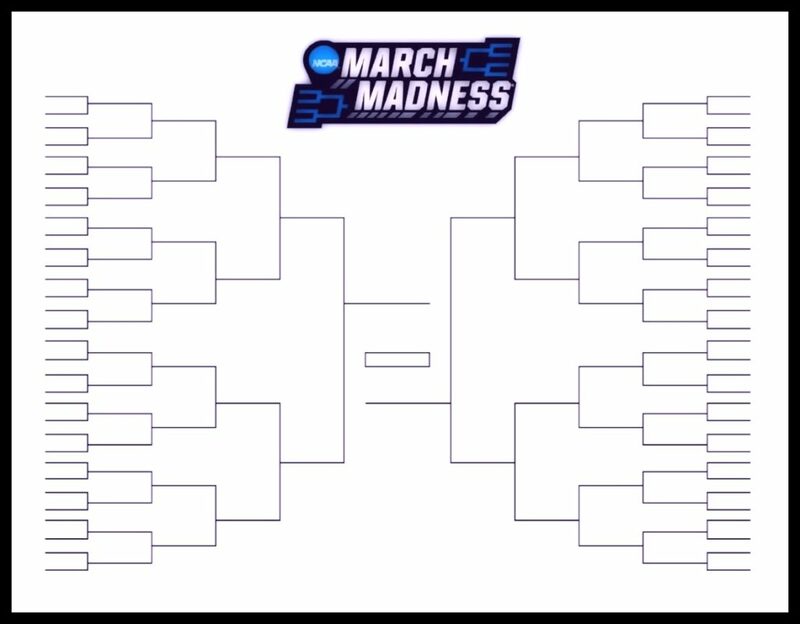 The 2019 NCAA March Madness tournament is the huge postseason hoops tournament for men’s college basketball. Almost right after Selection Sunday, the “First Four” will be held on March 19-20, 2019 in Dayton Ohio where it’s been located since 2011. It will quickly be followed by the first and second rounds of the tournament which start the day after that stage completes. The Round of 64 and Round of 32 are one of the most watched in sports and will commence on Thursday, March 21st, 2019 through the weekend. Selection Sunday kicks off the tournament craziness when it will be held on Sunday, March 17th, 2019, and after that the seedings for the tournament are set. The First Four always plays at the University of Dayton. After the First Four the first and second round of the NCAA Tournament have 64 teams and 32 teams playing over to Sweet Sixteen. From there, the tournament moves onto the Sweet Sixteen and Elite Eight part of March Madness. March 29 & 31 Sweet 16 & Elite 8 East Regional Washington D.C. The championship and Final Four will descend on Minneapolis, Minnesota and will be broadcast on CBS. We’ve created this simple, printable 2019 NCAA Tournament Bracket for the 2018-19 college basketball season. This was designed specifically for NCAA fans to enjoy in whatever format they prefer: PDF and Excel spreadsheet format. In any case, the brackets are out into the wild so get your pen and pencil out. We have a complete 2019 March Madness bracket available for you to print out in both PDF and Excel formats so that you can better follow the game action.